This 2-piece set from Mud Pie's Little Sport collection makes a wonderful gift for the sport loving parents of a newborn baby boy. 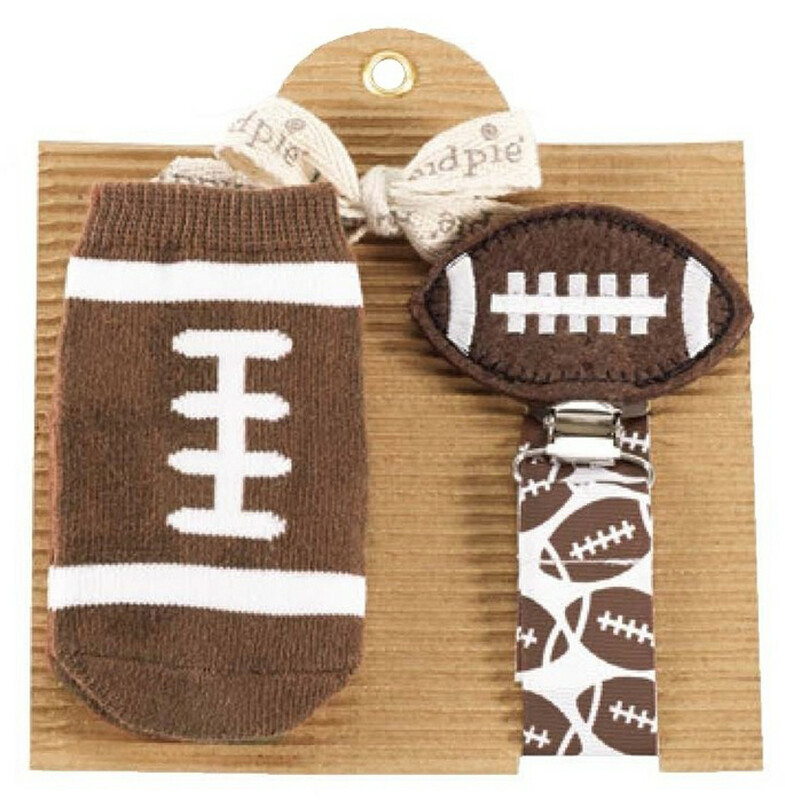 The set includes a pair of football cotton baby socks along with a matching pacifier clip with felt football icon. Baby socks fit size 0-12 months. Pacifier not included with clip.